So, like lots of other parents out there, we got our son a Hatchimal for Christmas. Boy, he sure loved it! What a great idea for a toy. It basically works by interacting with you, right from the beginning. When you touch and rub the egg and give it attention, the little creature inside starts to stir. Keep it up, and eventually it will start poking its little beak through the egg in an effort to hatch! 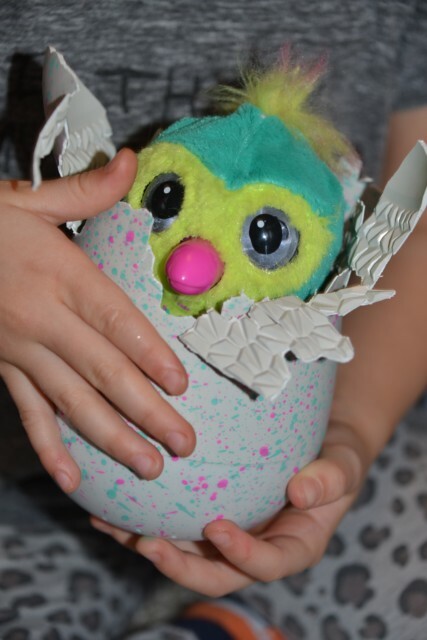 Some aspects of the toy aren’t perfect – for example, our Hatchimal had trouble pecking his way out of his shell and needed some help from us – but in general this is a pretty awesome toy.